Kagoshima is an area whose land is covered in volcanic ash. Sweet potato was chosen as a suitable produce that grows in the poor soil, and this led to the creation of Kagoshima’s unique shochu culture. The world has an extremely diverse range of traditional alcoholic beverages, as the result of people developing ways to produce alcohol with whatever was locally available. This is also why the fact that beer and whiskey can now be produced in Japan, at world-class quality, is a symbol of the nation’s industrial development since Meiji era and a source of pride. 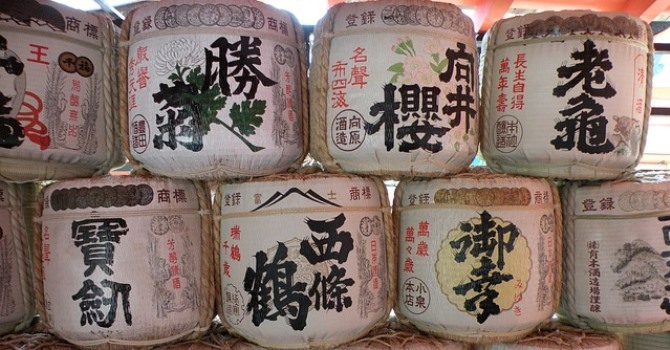 Now, although Japanese cuisine has spread throughout the world, Japanese sake has not. In Japan, imports of French and Italian wine probably grew together with the rising popularity of French and Italian cuisine. For France and Italy, wine has become an important industry, because it was backed by a comprehensive strategy to export food culture. For Japanese sake, that strategy was missing. While wine in France and Italy became major regional industries and also global ones at the same time, Japanese sake, which lacked a food culture strategy, seems to have dwindled into regional industries that are not even very big, let alone global. In Okinawa, people basically drink awamori. That’s because awamori is strongly integrated in its distinct food culture. Without this established food culture, there is no tourism industry or penetration of Okinawan cuisine and awamori outside of Okinawa. It’s not clear whether economic domains created cultural domains, or the other way round: it may have been simultaneous, and the order does not matter. Then, given Japan’s current situation, some fundamental development should be needed, where the revitalization of regional cultures leads to the revitalization of regional economies. Initiatives to create regional industrial clusters that accommodate the full process from R&D to production activities for advanced fields, such as advanced medicine, international finance, or life science, also have to overcome the traditional framework of attracting facilities. They have to go all the way to creating a new cultural zone extending to education, with people taking initiative in putting medicine at the core. Or we may have to go back in history. The old realm of cultural exchange back in the Edo era was naturally overlapped with the economic realm built upon a logistics network centering on waterways. By looking back at old layers of industrial clusters, we might be able to find an outlook for building a new economic realm. An economy has to be a cultural foundation that people create. A rich economy is nothing else than a rich culture.